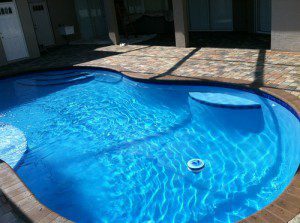 Swimming Pools, Lakeland, FL | Pool Blue Inc.
We want you to be completely satisfied with the swimming pool we construct for you in Lakeland, FL. Swimming pools are an important part of summertime fun. They provide a great place for entertaining friends and family or for simply relaxing. Depending on your life circumstances, you may prefer an outdoor or an indoor swimming pool. In short, if you’re looking for another way to enjoy your summer, you may want to consider looking into the different kinds of swimming pools available. At Pool Blue Inc., we are familiar with the many different kinds of swimming pools to choose from. We have over 20 years of experience in the design and construction of swimming pools. Our experts have experience with indoor and outdoor pools. You want your swimming pool to be a small slice of paradise, an escape from the stresses of your life, and our goal is to give you just that—your own personal paradise at home. Our owner is committed to your satisfaction, which is why he will personally visit your pool site, go over the design and explore all options with you to ensure that you end up with your dream swimming pool without going over budget. If you are ready to create your own swimming pool oasis in your backyard, contact us today. We serve the Lakeland, FL area. Our swimming pool experts are committed to quality and excellent customer service. We want you to be completely satisfied with the swimming pool we construct for you. Our motto is: Construct Your Pool, Create Your Paradise. Let us assist you in creating your paradise today!